Next week will see the world’s biggest technology icons line-up together to showcase their offerings. The Mobile World Congress (MWC) which will be held in Barcelona from Monday February 27 to Thursday March 2, 2017 promises to be bigger and better this year! And while you’ll be head-in-toe dipped in learning about the new technologies and innovations, Dimitri’s Coffee® – Jordan’s most authentic specialty coffee brand roasted locally will provide you with the freshest, highest quality coffee experience in the perfect cup, every single time. Dimitri’s Coffee® is the brainchild of three brothers- Waleed, Salah Aldin and Hisham Abubaker. 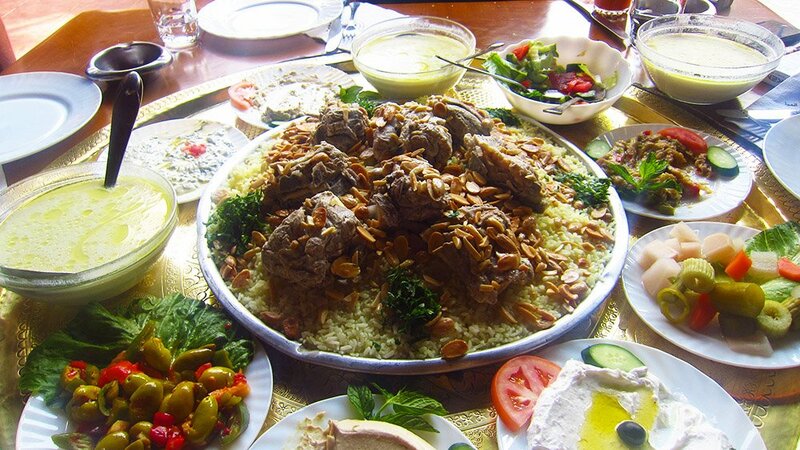 Founded in Amman in 2014, Dimitri’s is the by-product of Hisham’s ever-wandering curiosity. For four years, he visited more than 15 countries in Europe Africa and East Asia, touring local coffee roasters and houses and spending hundreds of hours tasting specialty coffees and experiencing different coffee cultures! That’s when they decided to establish a state-of-the-art specialty coffee roastery in Jordan. The trio learnt the chemistry of coffee roasting from the masters of the industry in England, Norway, USA, Hong Kong and Australia and applied the highest standards for roasting and sourcing the best specialty coffee beans to create the ultimate coffee experience for every single cup. The Mobile World Congress is a biggest mobile industry event – where thousands of visionary leaders and tech-savvy consumers gather to experience a connected life. More than 2,200 companies will exhibit at Mobile World Congress 2017. His royal highness Prince Ali bin Al-Hussien visited Dimitri’s at the 10th of July 2016 to have a taste of our wonderful coffee , Prince Ali enjoyed our place and got toured around the property by Hisham Abu Baker the Co-Founder of Dimitri’s coffee . As many of you know my buddy Joel Runyon and I took a trip to Jordan back in June for a week. The trip was fantastic, and to be honest exceeded both of our already high expectations. What I found to be so interesting about Jordan is that most people don’t know anything about it. Sure most people have heard of the Dead Sea, but few actually have any idea why it’s been given that name. I love learning about places that are a little off the beaten path, and this wasn’t any exception. For those of you that wanted more of a trip overview, this is it. Here are my ten best reasons for why you should head to Jordan next time you’re looking for something new, and perhaps a little adventure in your life. Why? I think it has to do with the fact it’s so unexpected. Where is Jordan? What’s there? What’s it like? Even if places like China or Cuba were just as different in terms of landscape and culture, people have heard more about them. Most of the people I’ve talked to haven’t heard a thing about Jordan, and people get excited about something new like that. In Bangkok we used to spend hours people watching over 2 for 1 99 baht gin and tonics near Silom. Sipping coffee on the streets of Barcelona is one of my favorite memories of Europe. Bottom line, if you want to top my list of best cities, I’ve gotta be able to drink, work, socialize in some fantastic cafes. Sitting in street cafes is one of the best ways I know of to see what a city is all about. Whether it’s talking to people around your or simply watching the routines and traditions of those around you – next time you’re some place new make sure you find a spot to hang out for an hour and simply enjoy your surroundings. Many friends and family couldn’t believe I was heading to the middle east when I did. All you hear on the news is about how dangerous it is over there. The reality? It is pretty dangerous over there, but NOT in Jordan. Jordan is a bit of a safe haven from the violence going on in surrounding countries. Jordan is on friendly terms with everyone that surrounds them, making it the safest destination to travel to in the middle east. Based on my experience there, I can totally back this up. Regardless of where we went I never felt unsafe, and in fact felt much more comfortable than many other places I’ve visited. Something I’ve always wanted to do was swim in the Red Sea. During our time in Aqaba we were able to head out on a boat and do some snorkeling in what had to be theclearest water I’ve ever seen. Now, I don’t know about you, but in my 27 years of life, everything I’ve learned has told me if you see jelly fish you do NOT go in the water. No one else seemed bothered by this. Our guide told us they wouldn’t sting and we should get in. Most people tend to only eat it on Friday or Saturday nights because it’s so filling it will put you to sleep and you won’t want to do anything else the rest of the day ???? Now imagine what it would be like to fall from the sky over a giant red rock that’s completely different from anything I’ve seen in the states. That’s what we were able to do thanks to Skydive Jordan. They are in the middle of expanding their diving operations, so if you’re considering going next year, try and time it with a time they are doing the jumps, you won’t regret it. The Dead Sea is the saltiest body of water on Earth. It’s also the lowest point on Earth. If this isn’t enough to get you excited about visting, how about the fact that because of its extremely high salt content when you get in the water you actually float. That’s how it got it’s name actually. There is somuch salt, that nothing can live in the water, hence the name, the Dead Sea. 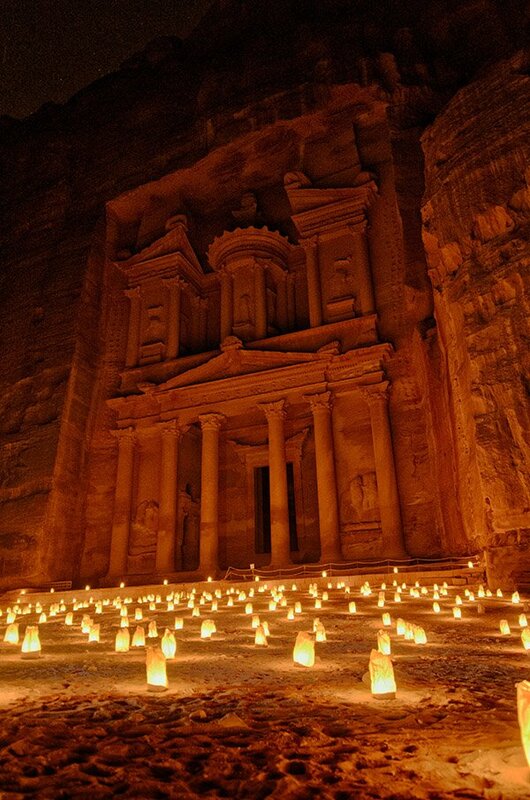 It’s true, the best reason to visit Jordan is without a doubt the most well known: to tour the incredible city of Petra. Just ask Indiana Ogle about that one. All in all, Jordan was amazing. No country has ever surprised me as much as this one did, and I mean it when I say I can’t wait to go back and spend more time there.